If you're an active member of the Tomb Raider community chances are Katie Fleming's name rings a bell. Katie is an expert in all things Lara Croft and is known for her original fan fiction, screenshot archive, video blogs, and more. 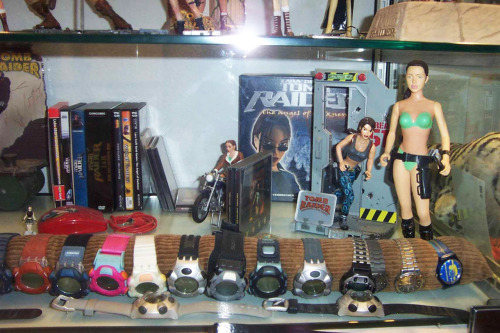 Turns out Katie has a pretty impressive collection of Tomb Raider merchandise too, making her a perfect starting point for our monthly feature Tomb Raider Tours. What is your fondest Tomb Raider memory? Locking Winston in the freezer! And stealing a quad bike in the middle of the Nevada Desert to crash land in a federal compound. 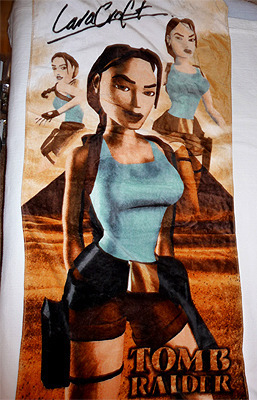 Where did you get the bulk of your Tomb Raider merchandise? Equal mix of eBay and friends at Eidos. 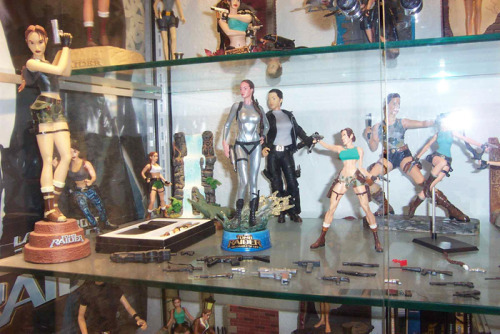 How do you store or display all of your Tomb Raider goods? In my future house I would love to get some display cases but as of right now it's unfortunately boxed. 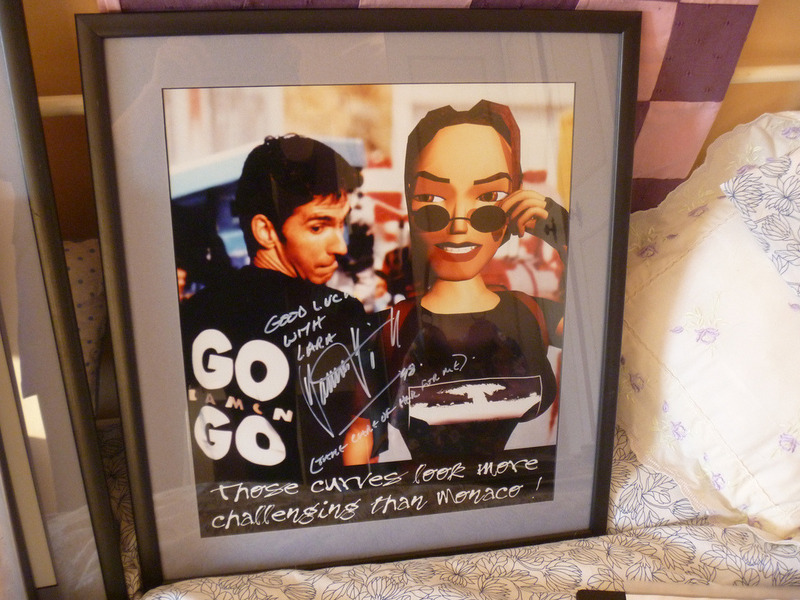 My montage is proudly on display on my bedroom wall, though! 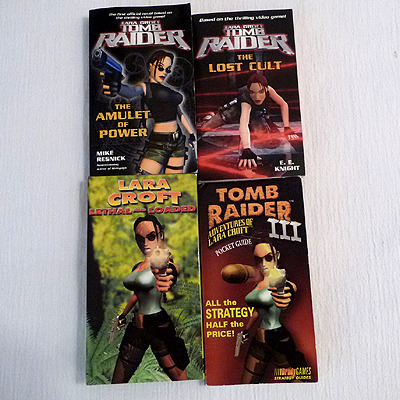 What is the gem of your Tomb Raider Collection? 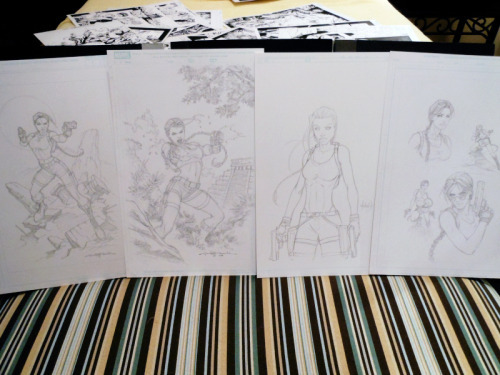 My Tomb Raider: Angel of Darkness montage that was signed by the entire team at Core Design. It's the only one in the world and I am so honored to have it! Is your collection complete? 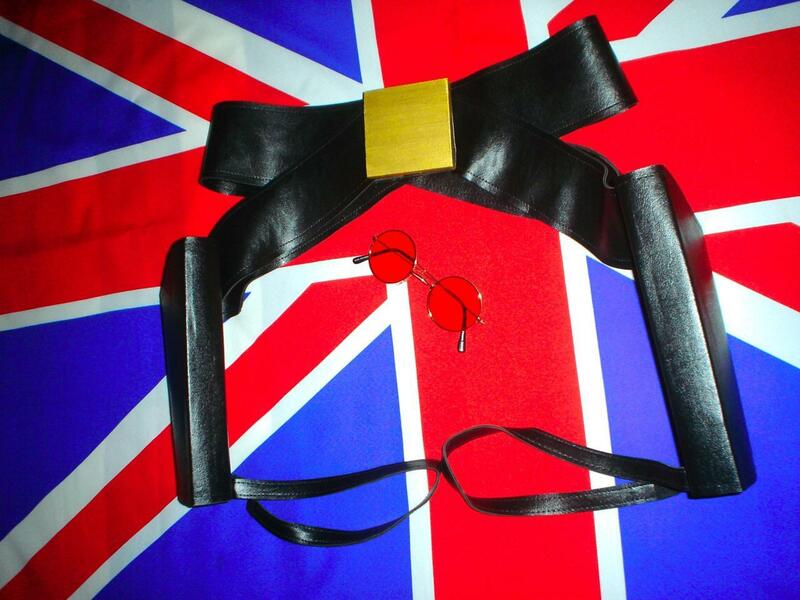 What items are on your Tomb Raider wishlist? I don't think it will ever be complete! 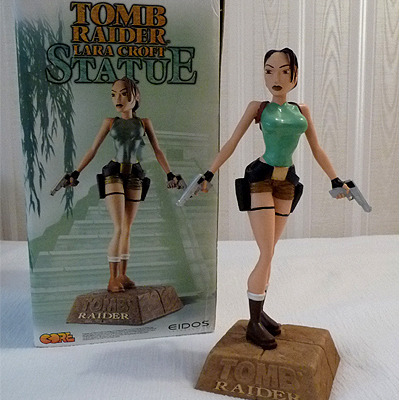 I would love to get my hands on a sideshow collectible statue one day and a few more rare items from the Lara Croft brand. 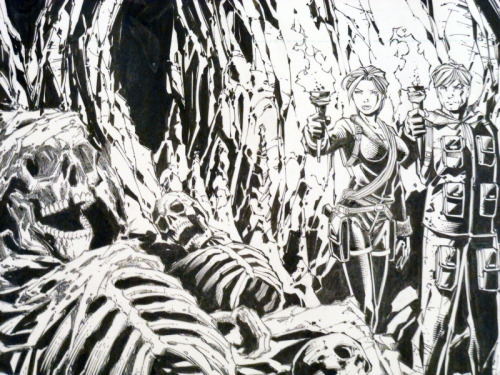 You can check out the rest of Katie's Tomb Raider collection here. Welcome to another edition of Tomb Raider Tours! This time we're featuring a longtime fan from North Yorkshire - Lauren Dixon. 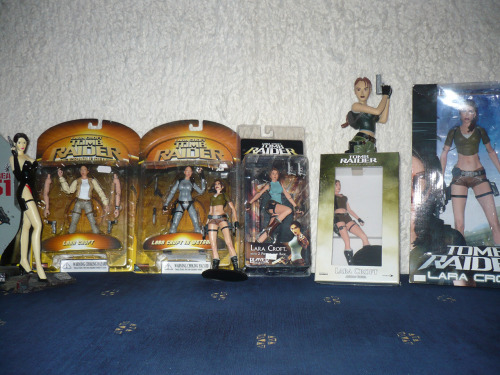 Lauren has an extremely impressive Tomb Raider collection, including a slew of action figures, TR-branded gift cards, and even Lara Croft socks! The gallery above doesn't even cover half her massive collection. Read on for some additional insight into her stash, and check back for another tour next month. 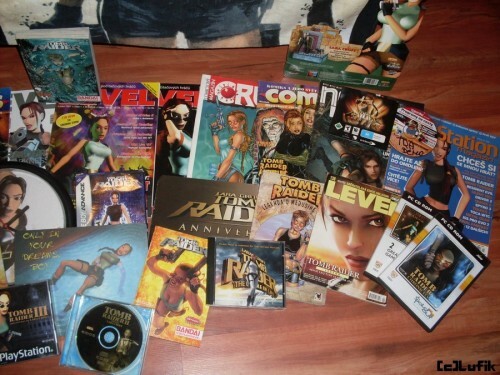 How long have you been a fan of Tomb Raider? I've been a fan since 1996 (age 6). I watched my older brother play the initial few games until I got the courage to play it myself. I was always scared of being killed! What is your fondest Tomb Raider memory? Oh, I have so many! My two favorite levels are Area 51 and the Midas Room. I loved turning her gold! I also love Antarctica. I bought some combat trousers the same grey/black/white color. They are still my favorite trousers even though they aren't very "fashionable." I feel like Lara in them! 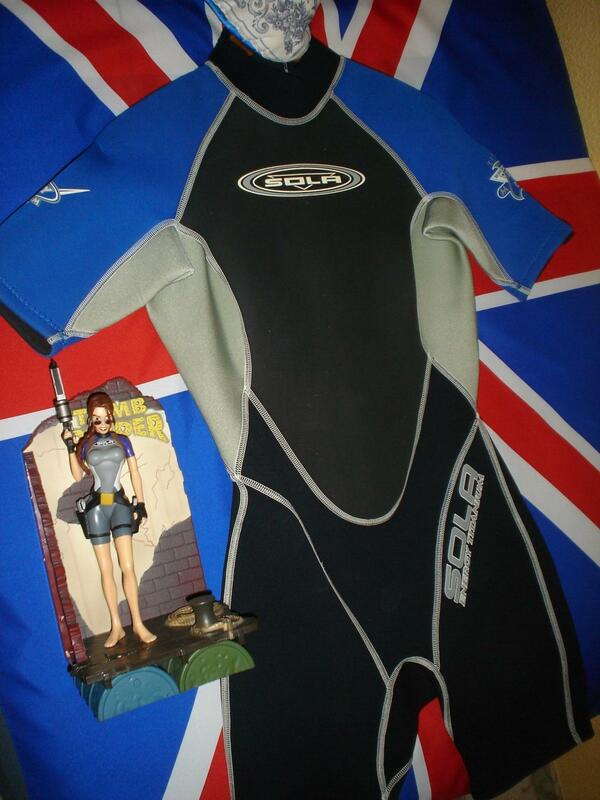 Where did you get the bulk of your Tomb Raider merchandise? 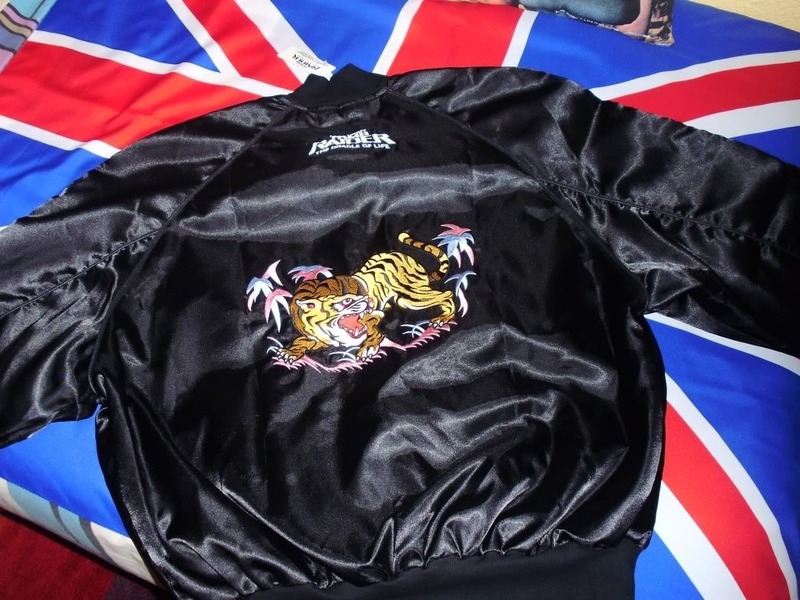 Most everything has come through eBay. No stores here sell anything except for games and walkthroughs. 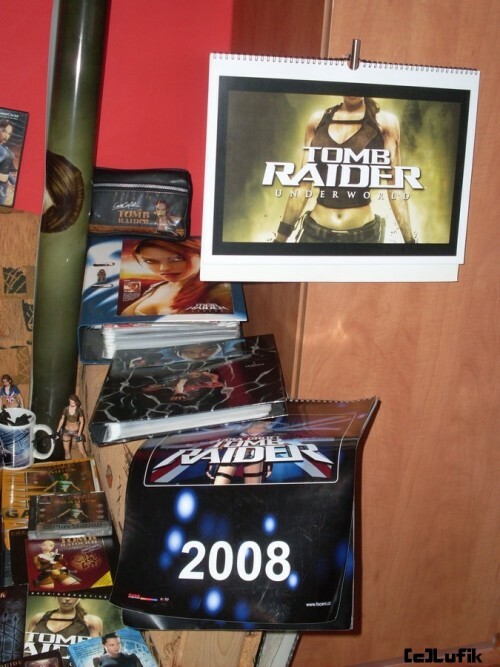 How do you store or display all of your Tomb Raider goods? I have two glass display cabinets for the models/figures, some shelves for the few things that can be displayed, and a comic storage box for, well, comics! 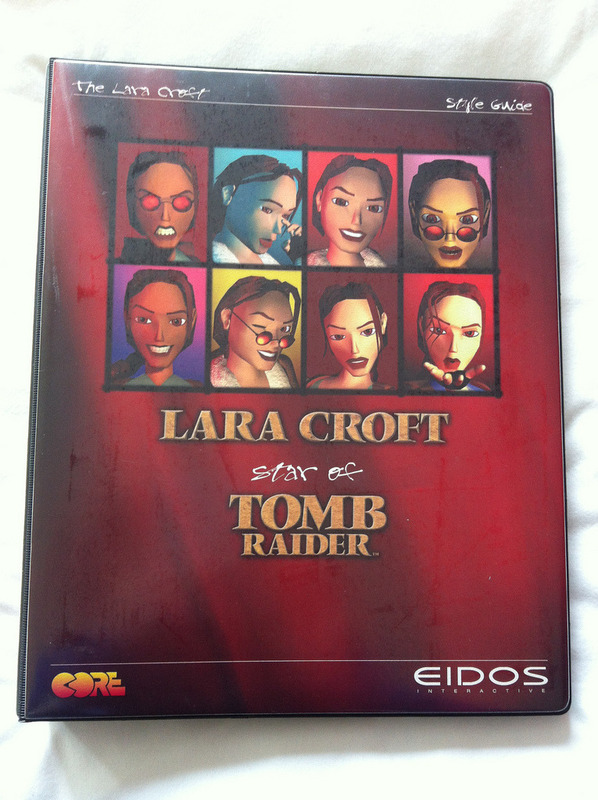 What is the gem of your Tomb Raider Collection? I can't choose! I love my Midas figure, Area 51 figure, the film Siberia figure, and Underworld premium statue. 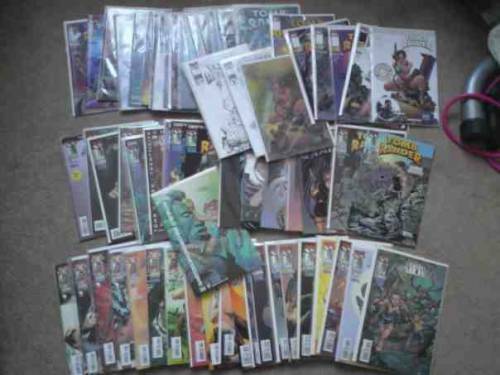 I'm also pretty proud of the number of comics I own. I believe I've reached over 100. 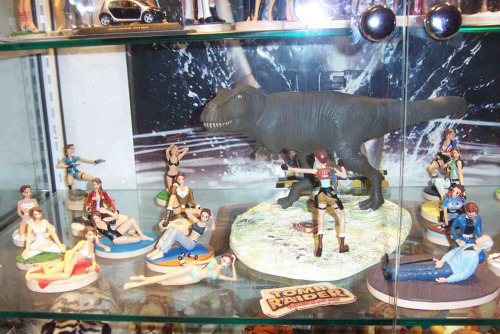 In fact, I'm in love with all my figures, they all remind me of different levels and moments/memories! Is your collection complete? What items are on your Tomb Raider wishlist? 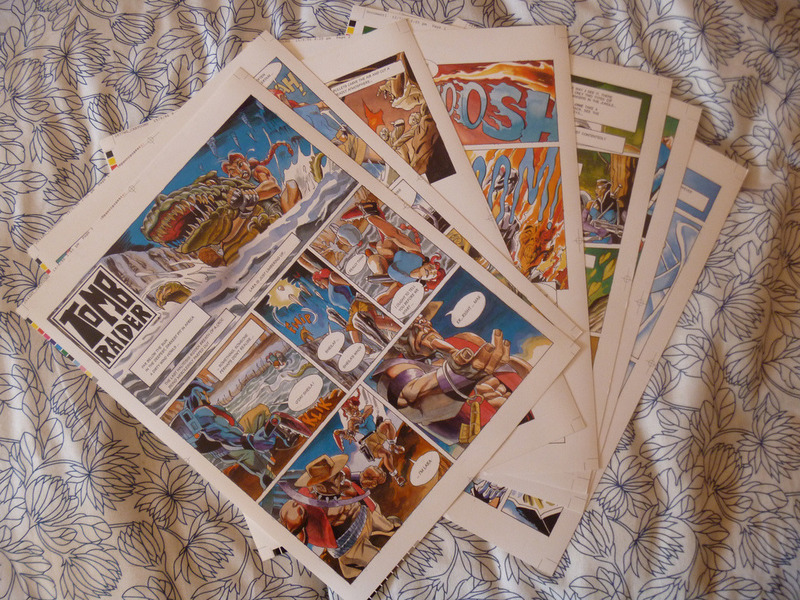 The last 20 figures from the French dossiers magazine and the special edition ones. Life size statues (if my partner, and wallet, allows). The last few games I am yet to own (I want all games for all consoles)! Some of the more rare bits I have only spied once or twice such as shot glasses, Lucozade bottles, and other 'silly' things like that! 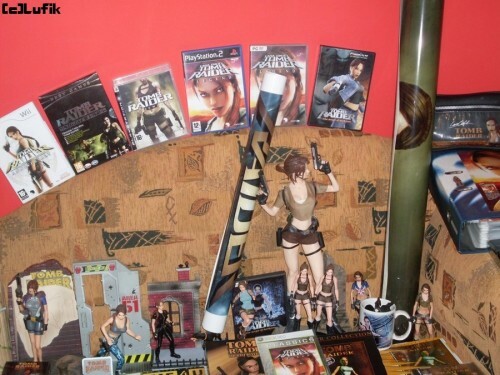 Some fans collect every bit of Tomb Raider merchandise they can get their hands on, while others have more selective taste. 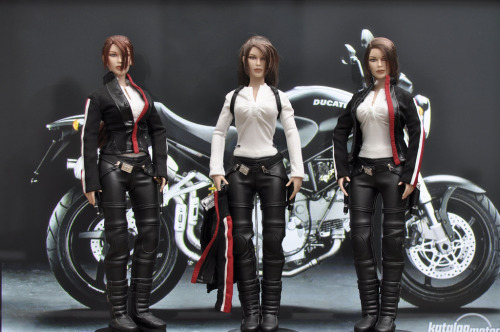 Peter Burgerâ€™s impressive collection began with a love for figures â€“ Playmates, Neca, and Atlas â€“ until he discovered Tonnerâ€™s Tomb Raider â€œFull Throttleâ€� doll on eBay back in February of 2009. 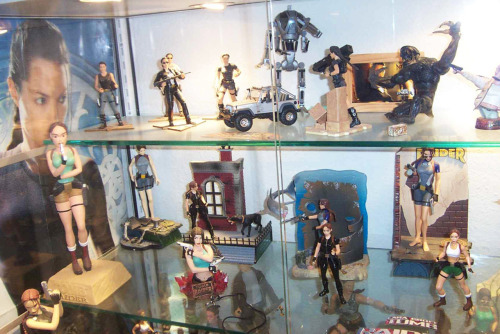 Now he focuses on collecting the dolls, including custom variations by crafty Tomb Raider fan Laragwen. Enjoy! 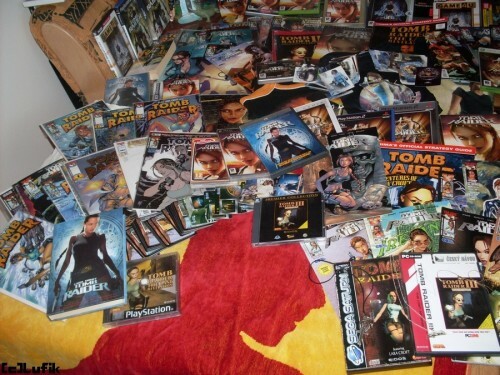 How long have you been a fan of Tomb Raider? About three years. 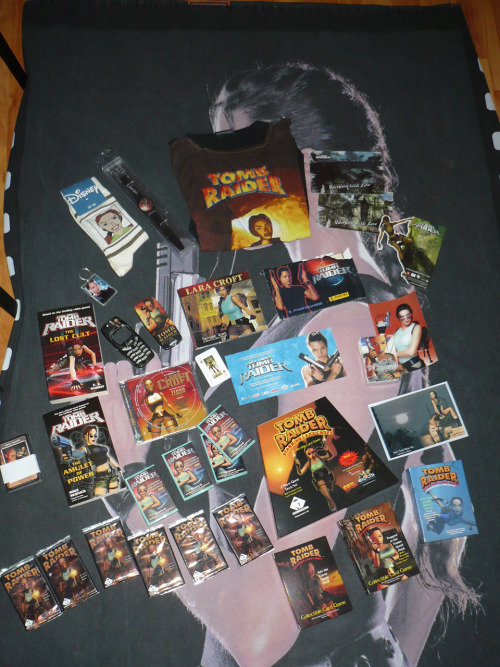 Where did you get the bulk of your Tomb Raider merchandise? The majority came from eBay, from the US, Canada, and Australia. 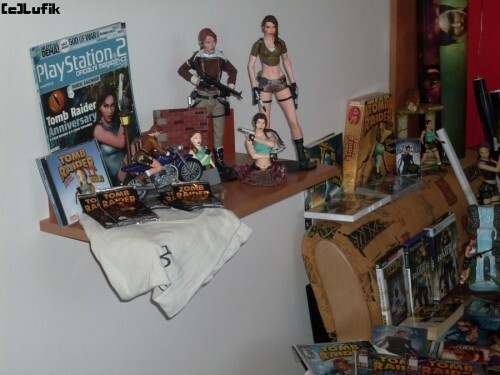 How do you store or display all of your Tomb Raider goods? Most of my dolls are stored in a display cabinet. 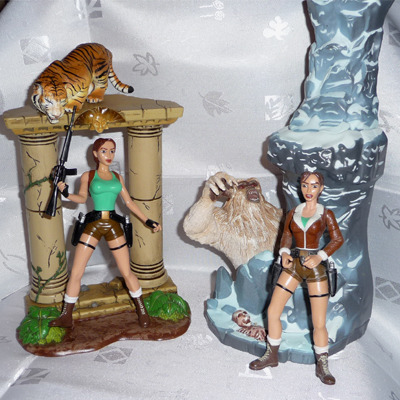 What is the gem of your Tomb Raider Collection? 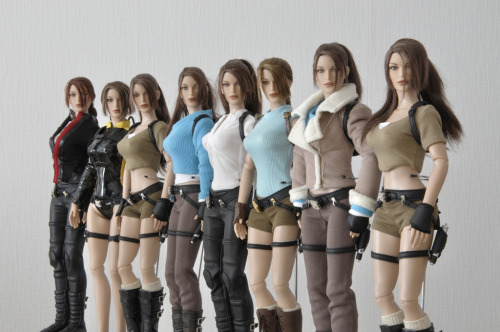 My favorite is the initial run of the Legend Tonner dolls. 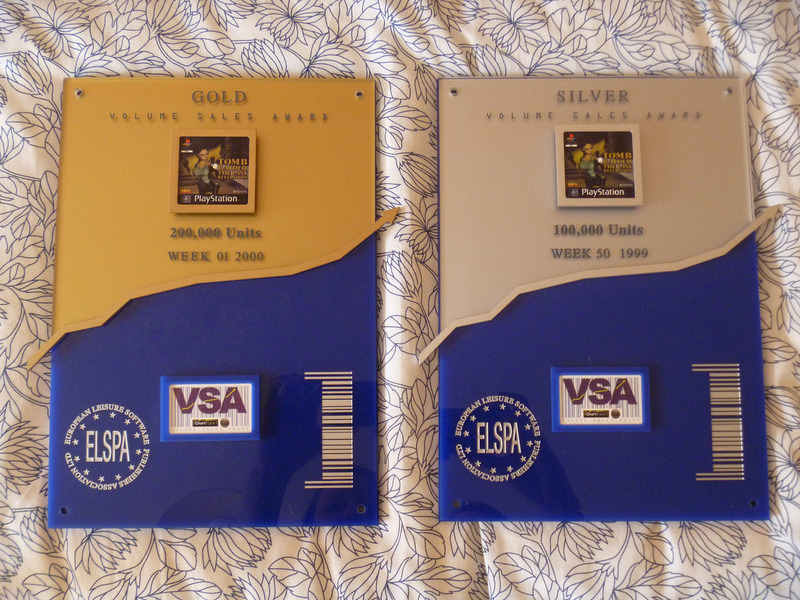 Only 100 were available worldwide, and I have two. ? Is your collection complete? What items are on your Tomb Raider wishlist? I think my collection will never be complete! Iâ€™ll take any Tonner doll I can get, and a life-sized statue of Legend would be great. 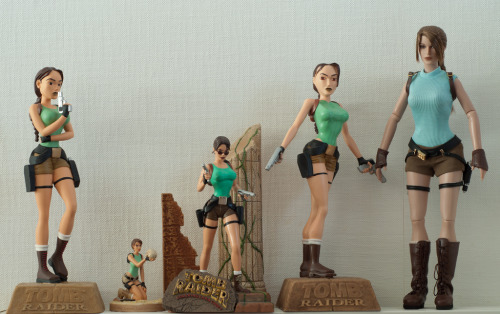 Andreas Hoffmanâ€™s impressive Tomb Raider collection stems from a love of the franchise that began back in 1996. 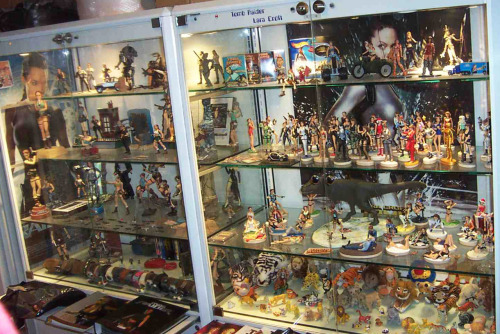 He was lucky enough to nab a pair of (alarmed) glass display cases to house all of his goods. 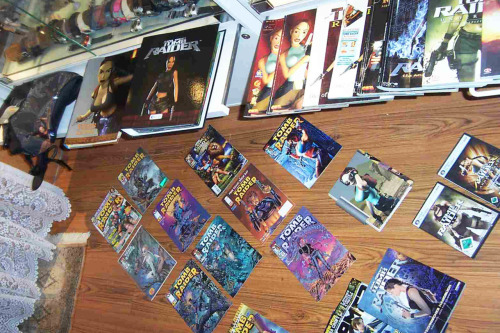 Take a peek at 15 years of collecting above, and a few thoughts from Andreas below. Enjoy! 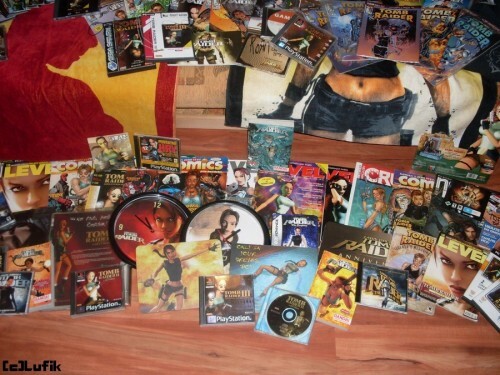 How long have you been a fan of Tomb Raider? 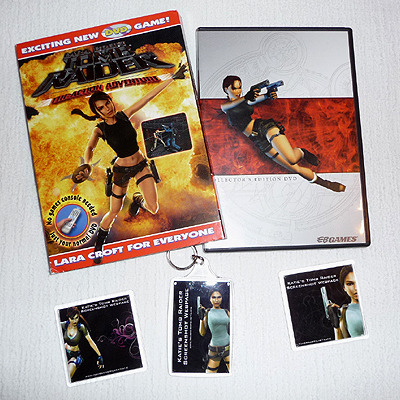 Iâ€™ve been a Croft fan since 1996 when the first PC game was presented. 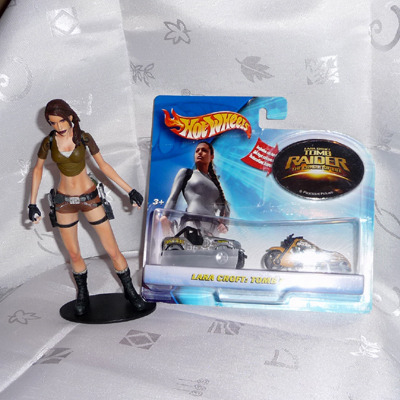 Where did you get the bulk of your Tomb Raider merchandise? I picked up the first merchandise items from eBay, and afterward I found a connection with a seller in France who would send me the figures directly when published. 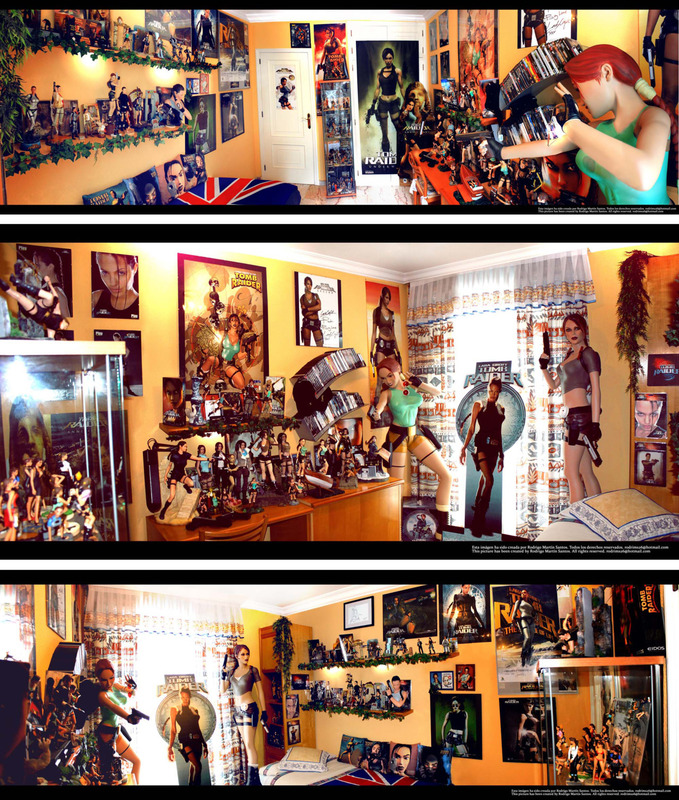 How do you store or display all of your Tomb Raider goods? I had the good fortune to find two used cellphone presentation showcases. This is the best place for my collection. It seems each successive Tomb Raider Tour serves to make me jealous of items my collection is sorely lacking. Tomb Raider fan Roland DankÃ³â€™s impressive lot is complete with dozens and dozens of official games on multiple platforms and languages. 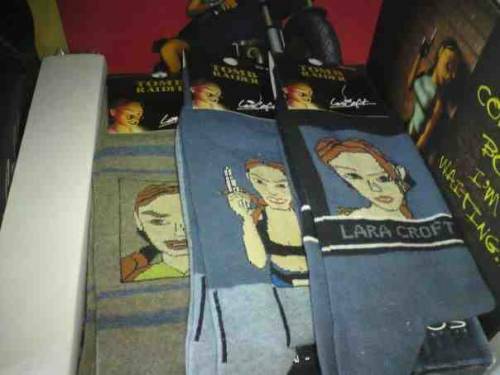 Also, Tomb Raider socks! Check out his collection above! How long have you been a fan of Tomb Raider? 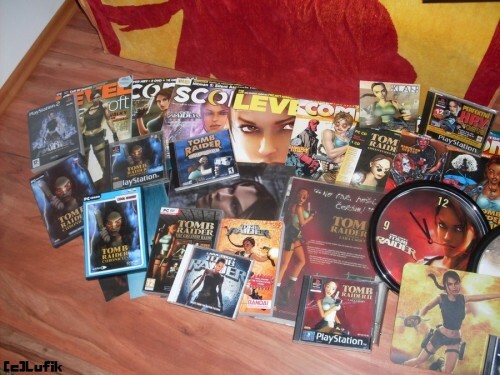 Iâ€™ve been a fan since 1998, when I got the Tomb Raider III for PSX. What is your fondest Tomb Raider memory? Itâ€™s very hard to decide, because I love all of the levels of Tomb Raider games! Maybe when I stood on Midasâ€™s hand for the first time and Lara became a golden statue. I was shocked about what just happend?! 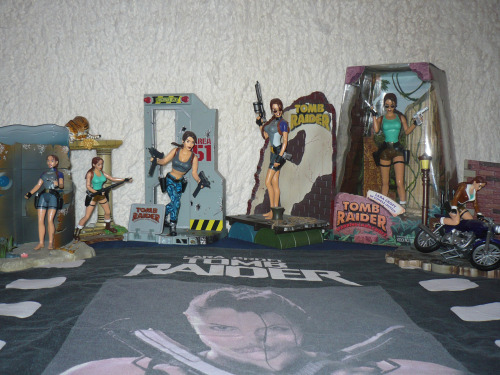 Where did you get the bulk of your Tomb Raider merchandise? From trips, auction websites, other TR fans, and friends. 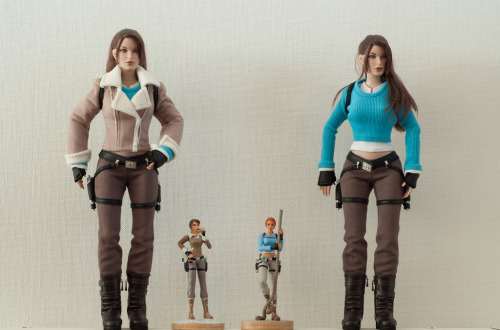 How do you store or display all of your Tomb Raider goods? The most of them are in a display cabinet, plus on several shelves. 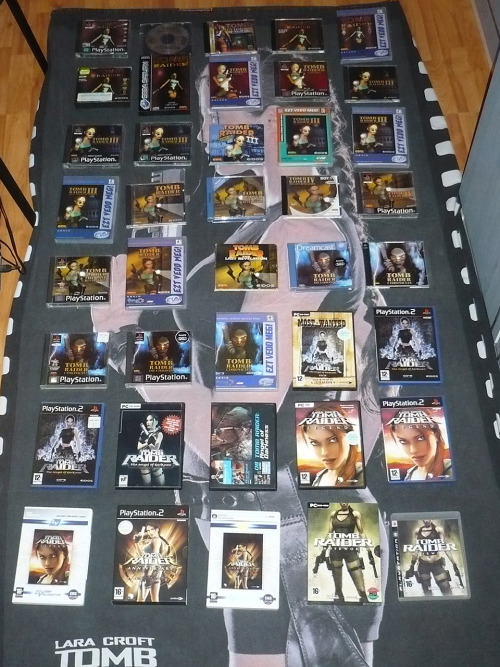 What is the gem of your Tomb Raider Collection? My gem is/was the Tomb Raider Angel of Darkness statue, but unfortunately it broke recently by accident, so I have to get another one. I am very very very sad because of her. Is your collection complete? What items are on your Tomb Raider wishlist? I donâ€™t think it will ever be complete! 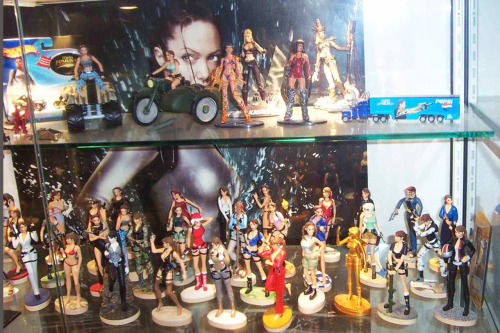 I would love to collect most of the figures and statues, and some rare items. 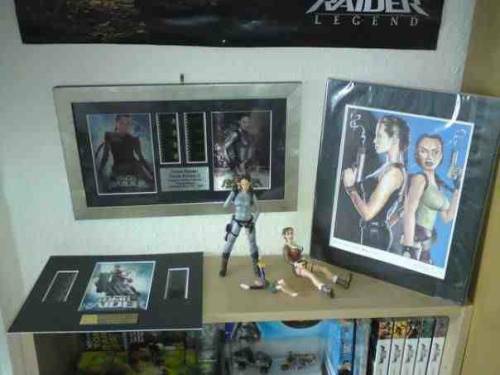 Interested in having your Tomb Raider collection showcased on the blog? Shoot an email to community@crystald.com and share! 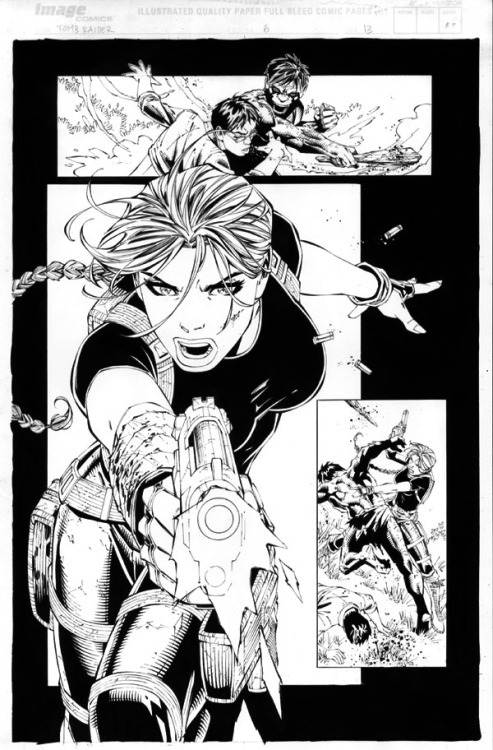 While all Tomb Raider Tours featured on the blog leave me feeling green with envy, Matthew Lyonsâ€™ specialty strikes a cord close to my heart. 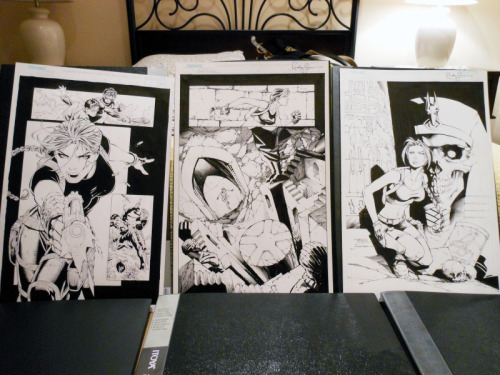 As an avid comic collector myself, his portfolio of original Top Cow Tomb Raider art (pencil and inked) is awe-inspiring, featuring work from Andy Park, Marc Silvestri, Billy Tan, Randy Green, and my all-time favorite artist Michael Turner. Take a gander at his stunning spread above. How long have you been a fan of Tomb Raider? 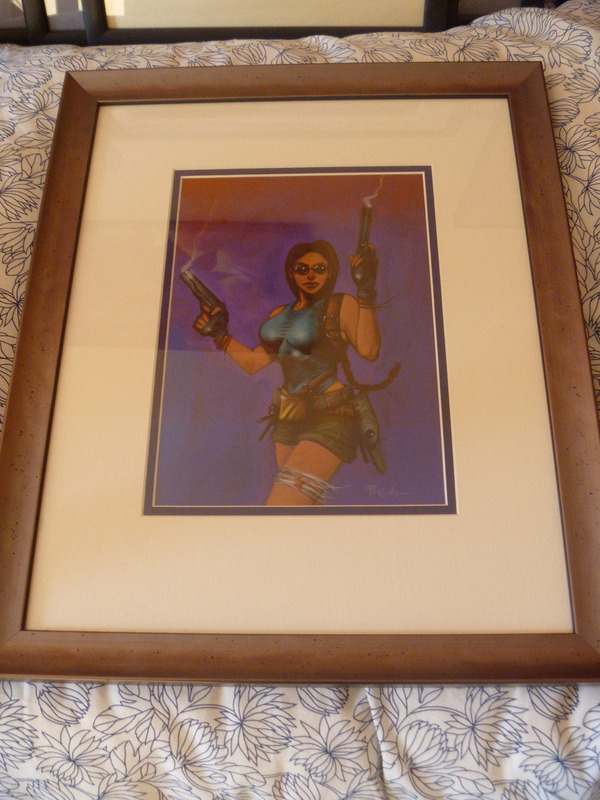 Since the first Tomb Raider game came out on the Sega Saturn. What is your fondest Tomb Raider memory? Seeing the Lost Valley for the first time. I never got enough of exploring that first game. The areas just seemed so massive at the time! 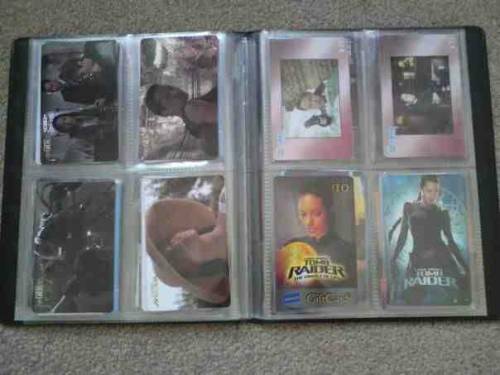 Where did you get the bulk of your Tomb Raider merchandise? 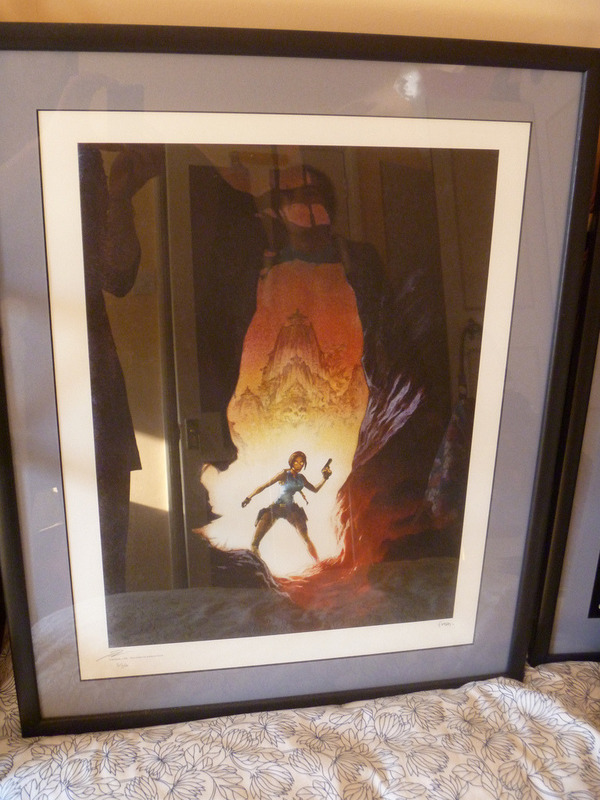 Online from artists or art reps.
How do you store or display all of your Tomb Raider goods? In art portfolios. Thereâ€™s definitely not enough room on the walls for it! 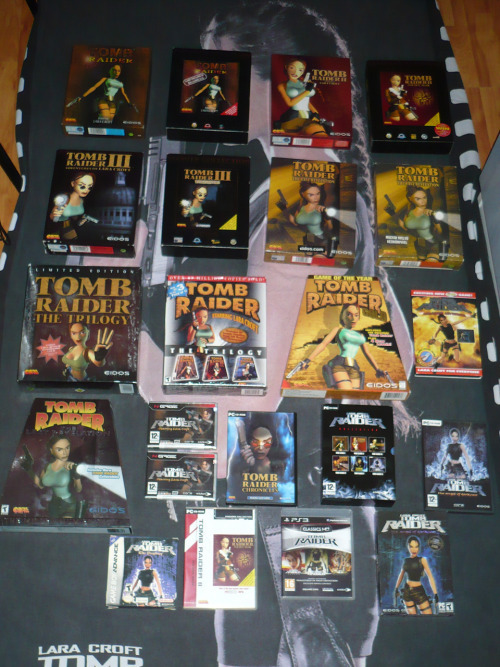 What is the gem of your Tomb Raider Collection? Umâ€¦ Probably the Billy Tan splash page. That was a huge purchase for me and took a while to track down. Is your collection complete? What items are on your Tomb Raider wishlist? I donâ€™t think collections are ever truly complete. Since the books are no longer being published thereâ€™s only so much out there to buy, but there are still a few pieces I wouldnâ€™t mind having! 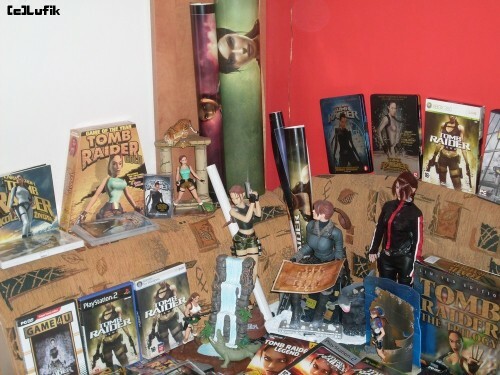 Fansite webmaster Lufik aims to impress with an extensive Tomb Raider merchandise collection. Play â€œI spyâ€� with the overwhelming number of odds and ends above, and check out an interview with Lufik below! Thanks for taking the time to share your collection Lufik â€“ I imagine it took a while to clean up afterwards. How long have you been a fan of Tomb Raider? This year it will be six years. What is your fondest Tomb Raider memory? Hard to say. I have many fond memories and none of them are greater than the others. Maybe every time a new Tomb Raider game comes out, then that feeling can be described as the fondest memory of all. 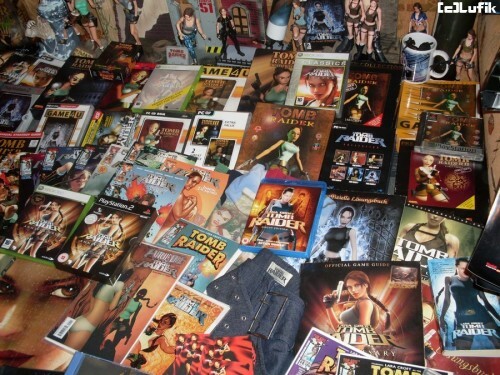 Where did you get the bulk of your Tomb Raider merchandise? 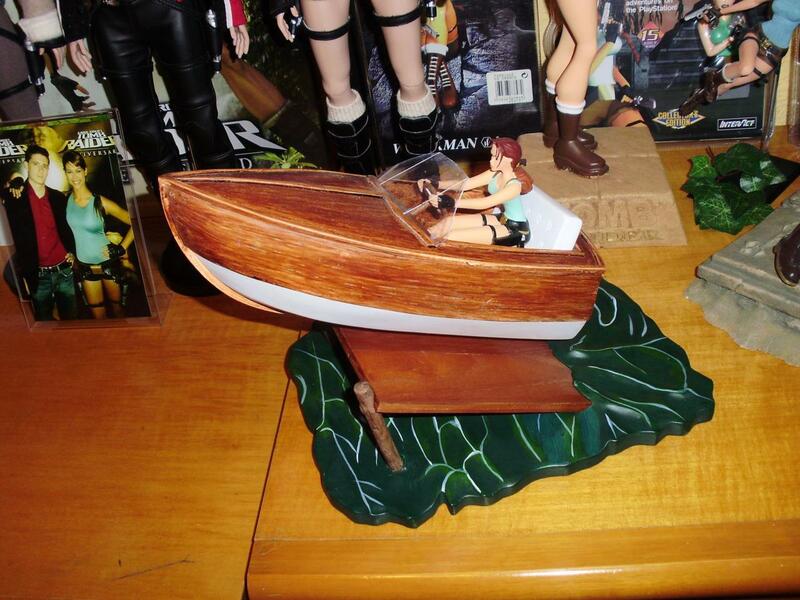 How do you store or display all of your Tomb Raider goods? In my bedroom, although thereâ€™s not much room there! Lara has her place in the whole room and two whole cabinets just for her. 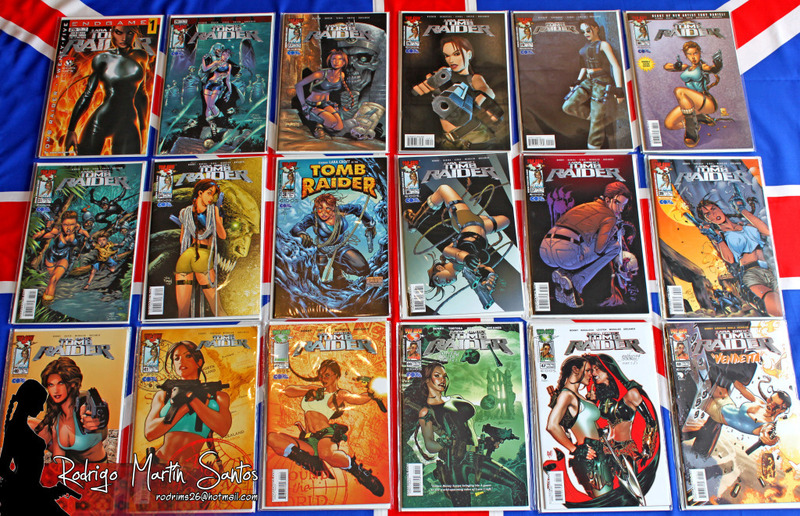 What is the gem of your Tomb Raider Collection? Well itâ€™s probably all of my collection, because I know how difficult it is to get them. 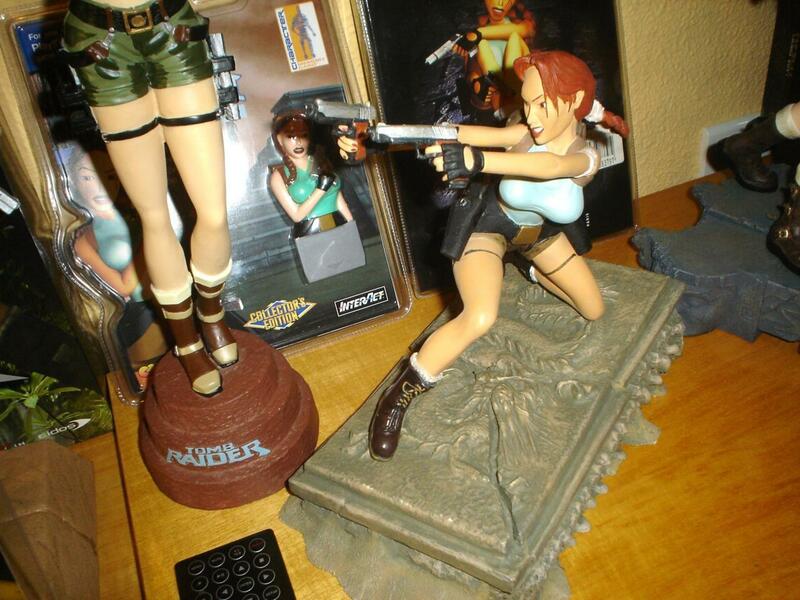 I really love every single item and especially the figures of Lara. Each one of them means much to me. Is your collection complete? What items are on your Tomb Raider wishlist? Definitely not. I think itâ€™ll never be complete. Thereâ€™s many things with Lara and more will come out with her new game. Even now my friend promised me some new additions to my collection! Thereâ€™s no denying it. 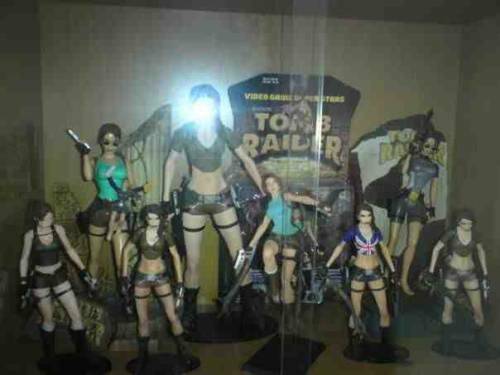 Rodrigoâ€™s Tomb Raider collection is one of the most impressive in the world. Boasting dozens of rare items, exclusive promotional material, and even original art, you could get lost sifting through all the cool swag heâ€™s collected throughout the years. You can see his full collection here and his gallery on CroftGeneration here. Enjoy poking around! 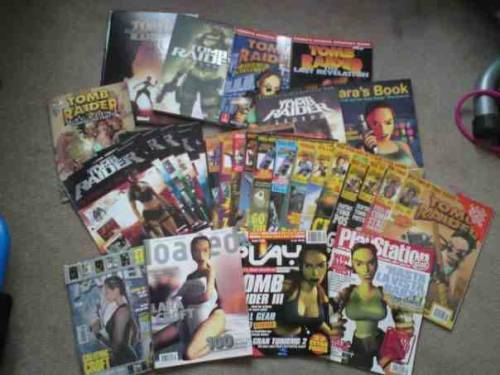 I became a fan of Tomb Raider in 1996 when I discovered the first images of Lara Croft in the Spanish magazine â€œHobby Consolasâ€� (I will never forget it). It came with a few sketches by Toby Gard and I was completely in love with the character and her strength. Till this day I have always been a loyal follower. Tomb Raider is in my heart always. 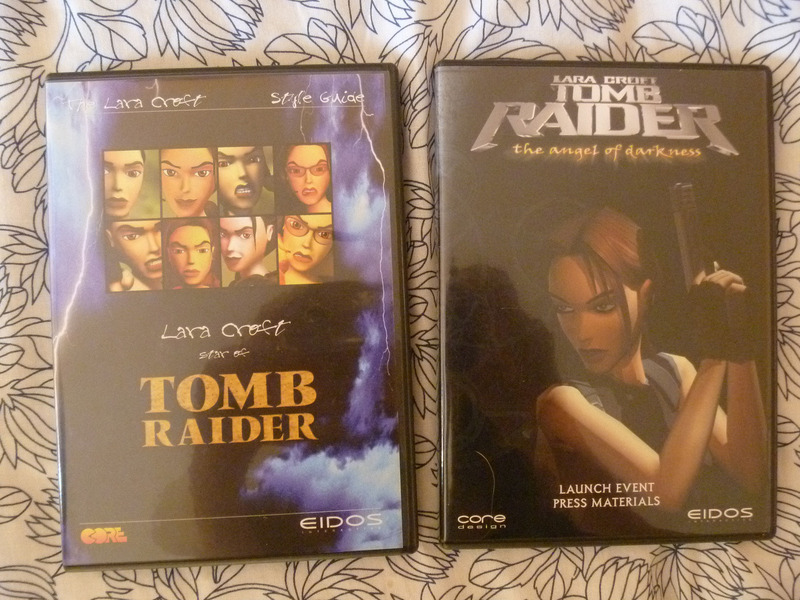 I really love this saga, and no game is the same as Tomb Raider. My favorite is probably in the Lost Valley, when Lara meets the T-Rex. Itâ€™s mythical! I remember a lot of other favorite moments in the history of Tomb Raider, like The Great Wall in Tomb Raider II, LaraÂ´s Mansion, the classic costume of Lara Croft, and Tokyo in Tomb Raider Legend. For me these are the best moments of the series. From Ebay, of course (UK, Germany, France and USA). In a room of my home. Itâ€™s like my personal museum. I hope I have more space in the future, to show each object in its full splendor and to reorganize everything by categories and games. Iâ€™ve got my own TOP 10! The original sketch that Toby Gard (the creator of Lara Croft) drew for me. My mannequin of Tomb Raider Legend. My mannequin of Tomb Raider II. 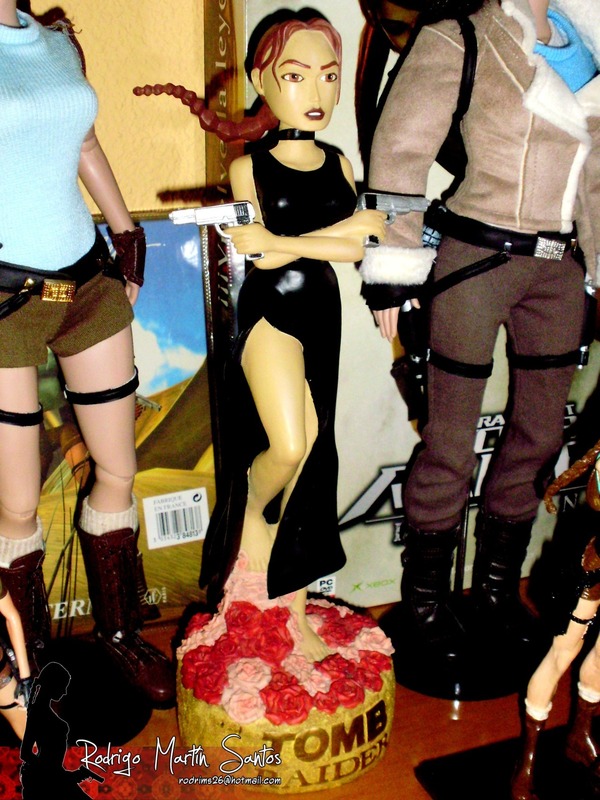 The statue of Lara Croft with the roses. 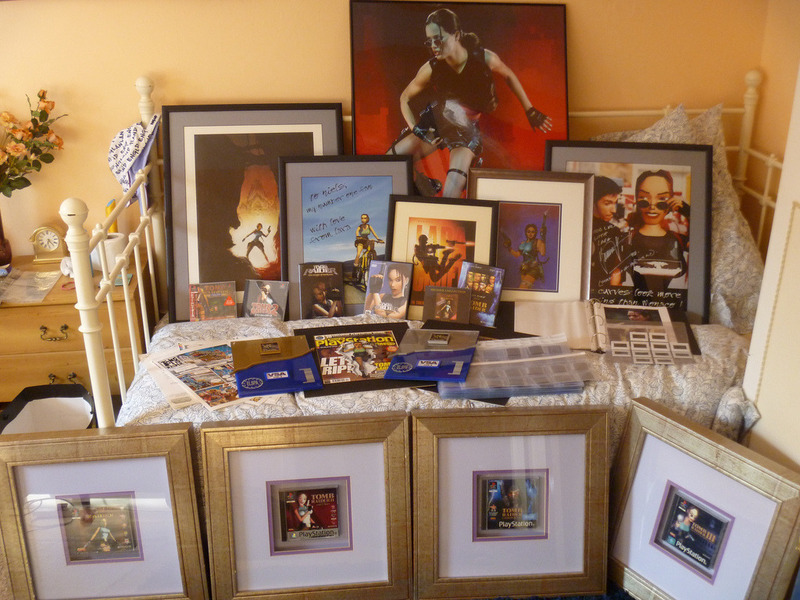 My posters signed by the models of Lara Croft (Rhona Mitra, Nell McAndrew, Lucy Clarkson, Jill de Jong, Karima Adebibe and Alison Carroll). The original negatives of the photoshoot of the models that Core Design did. 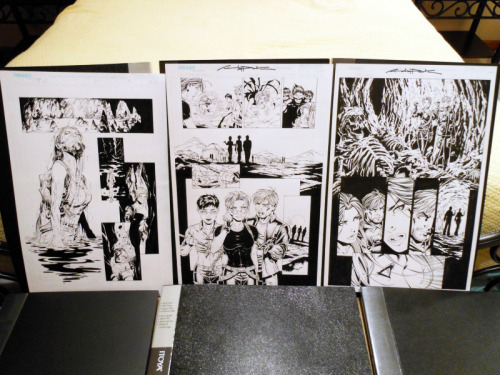 The original concept arts used in the first Tomb Raider Movie by Paramount Pictures. 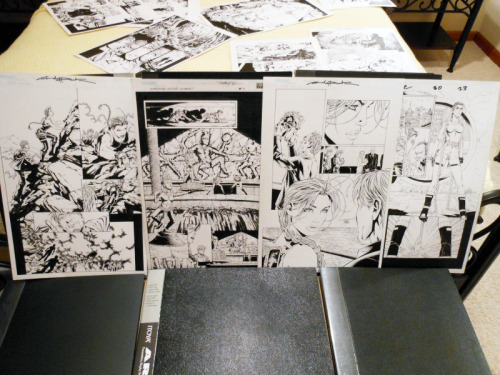 The original sketches of Andy Park (TR comics), Michael Turner (TR comics), Daniel Cabuco (Art Director of Legend, Anniversary and Underworld), Joe Jusko (TR comics) and James Kenny (Art Director of Angel of Darkness). The original replica of the holsters and backpack used by Angelina Jolie in the first Tomb Raider Movie. No, I think that when you start a serious collection it will never be completed, as long as you remain linked to the saga and while you still feel identified with the character. 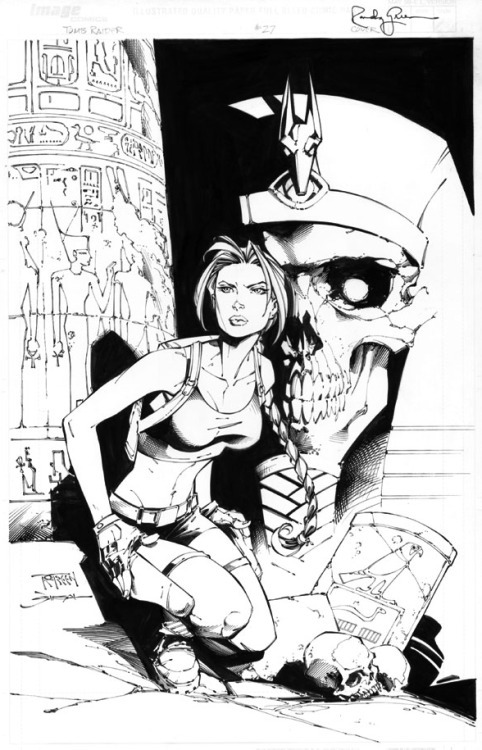 About my wishlistâ€¦I really want an original sketch by Brian Horton (Art Director of the next Tomb Raider) because Iâ€™ve been following his career for many years and when I found out that he would work for the new Tomb Raider I couldnâ€™t be happier. He has a talent that envelops you and knows how to express their passion in his drawings. 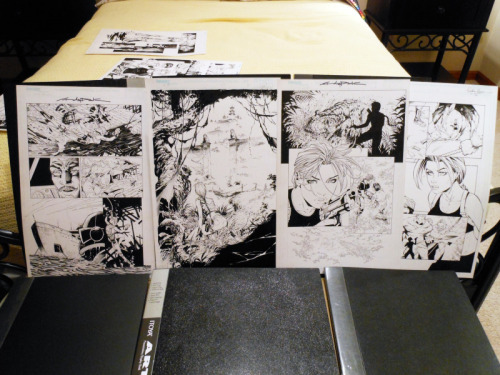 His drawings manage to have life. He is an ARTIST in capital letters. I want to thanks here the entire fan community for continuing to support our favorite archaeologist every year, I have met wonderful people with Tomb Raiders games and thanks to all developers and producers to realize our dreams I wish you the best in your lives. Thank you indeed. 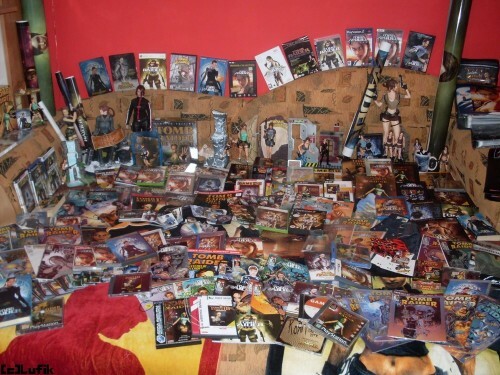 That's one impressive collection, rodrims! 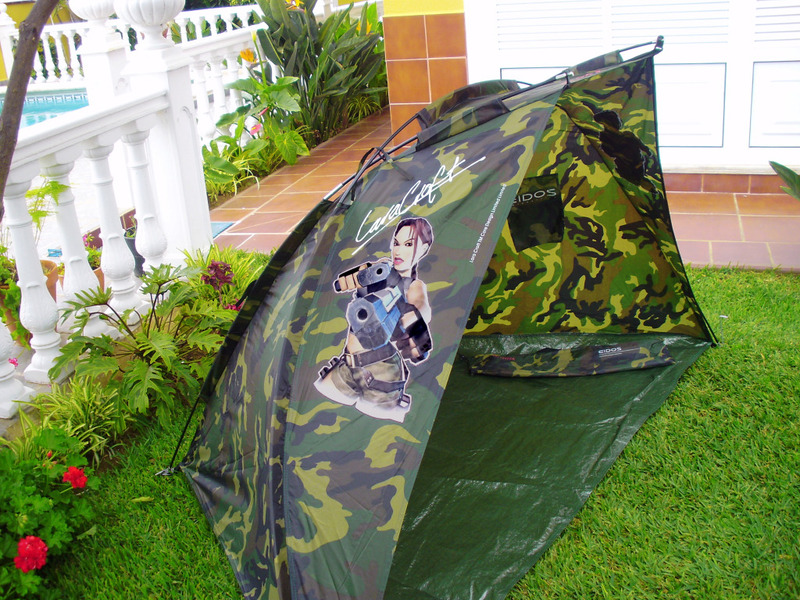 Not entirely sure, but I imagine Rodri has outdone Bill as far as Tomb Raider collections are concerned. Then again, I have not heard from Bill's since PL shut down (4 years ago?). All of these are mighty impressive collections though, kudos to fellow collectors. These collections make mine look puny. "I'd like to say it was nice to meet you, but that would be a lie"
love your collection Matthew lyons ! 12 hours of pain but o so worth it !!! and second price on tattoo festival , also 2 times foto in tattoomag. I LOVE the tattoo! Michael Turner is the reason I got into comics. 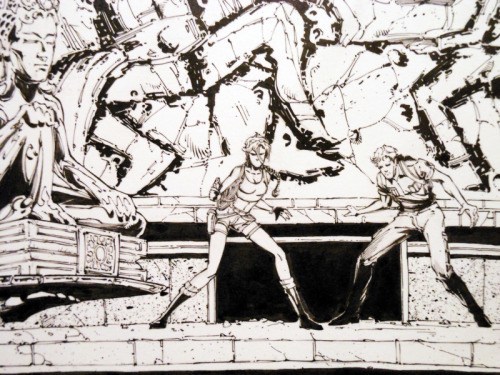 When I saw his first Tomb Raider cover I was hooked. I was lucky enough to meet him the year before he passed away, and I actually started crying when he shook my hand. It totally caught me off guard because I've never been nervous around "celebrities" before. I felt stupid, but he was really nice about it. so cool that u meet M. Turner , wow ! 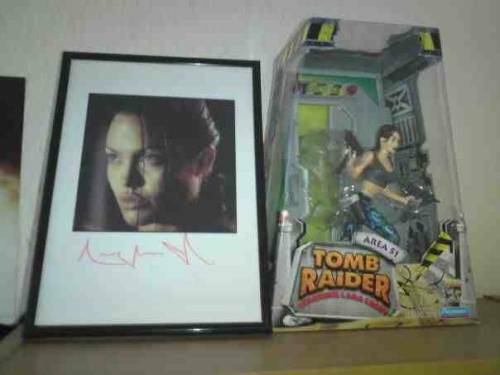 Growing up near Core HQ (and getting in touch with studio alumni) has done Tomb Raider fan Luke quite a service in expanding his TR collection. Check out Luke’s unique array of goods above, and interview below! Since I was 5 when the first game came out. I used to watch my Dad play through the games; he and his friends had a competition to see who would complete it first. So it was Tomb Raider nonstop! I got most of my items from former employees of Core Design who were with the studio from the start right up until its closure. I hope after meeting these people that I will be able to expand my collection even more, by being in contact with other employees. At the moment it is all stored at my Grandmas house, it’s all wrapped up and out of sunlight. 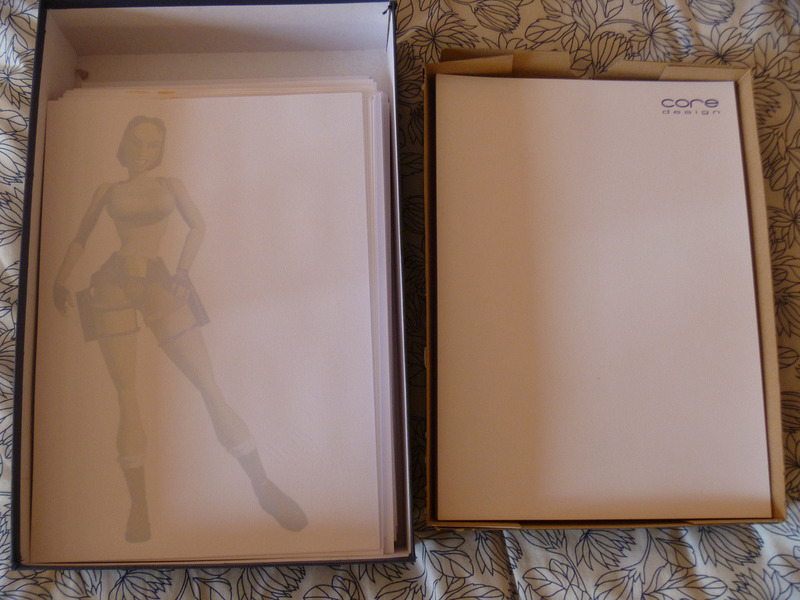 My most recent items (Tomb Raider style guide 1-4, and AOD style guide) are with me. It’s the only one in the world and I am privileged to be the one who owns it. The collection will never be complete! 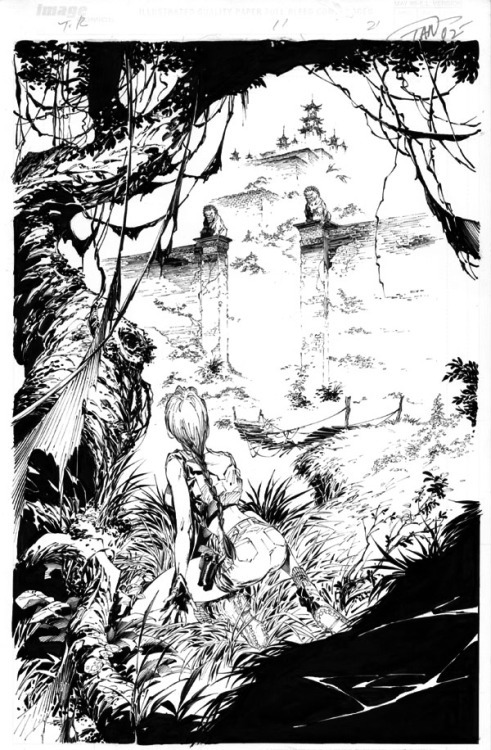 I would love to own some concept art from one of the games, or some original pencil sketches of Lara. I would really like some more awards, as they really show the achievement of the games. There are plenty former Core Design employees out there, just got to find them and buy their stuff! 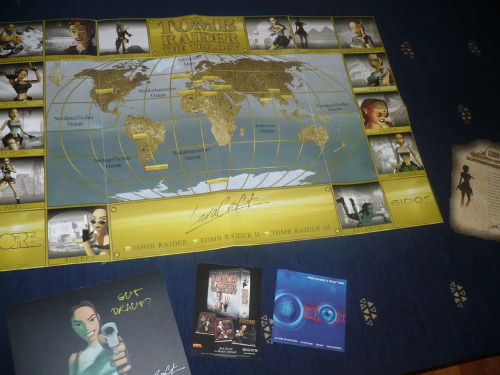 Who knows, maybe I will own some Crystal Dynamics items one day! Wow, some rare items there! 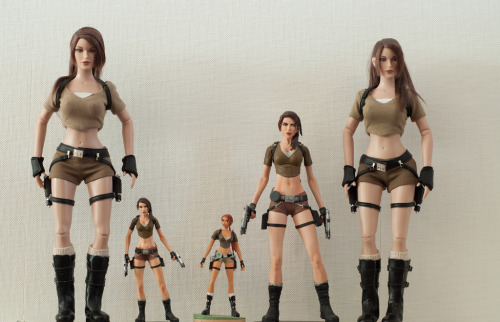 I want a Tonner Lara doll so bad and I see people with like every one. Very awesome.